Desert Rose Medical Consultants - Set up an appointment today! We take a holistic approach to health, a part of this is offering a range of services for daily or continuing ailments or problems. Blood pressure is the measure of how much force is being exerted on your blood vessel walls. While 120 over 80 is considered a “normal blood pressure” large variations in these numbers can lead to negative health effects. Call us at 623-547-2100 to setup an appointment! Cancer screening is done through a variety of tests; physical exams, lab tests and imaging procedures. Not limited to Women’s Pap and Breast Exams and Men’s Prostate Exams. Call us at 623-547-2100 to set up an appointment! We also work with you to develop health directives aimed to improve your health further. Using liquid nitrogen we are able to freeze away skin lesions or warts. Earwax is a natural protectant for the ear canal, but it can become impacted and hinder your ability to hear. We do not recommend using cue tips as there is potential to damage your ear drum or cause impaction. We use a machine made specifically for removing ear wax. Otherwise knows as an EKG or ECG machine, this measures the electrical activity of your heart. Flu shots and vaccinations to keep you safe during cold season. Veena Gulaya, MD, is a Board Certified Internist with 30+ years of Medical Experience. Dr. Gulaya completed graduate training in Delhi, India in 1985 at Maulana Azad Medical College. She did her residency in Anesthesiology and Chief Residency in Neuro Anesthesiology at All India Institute of Medical Sciences. After Immigrating to the United States in the early 90’s Dr.Gulaya shifted her specialty from Anesthesiology to Internal Medicine. 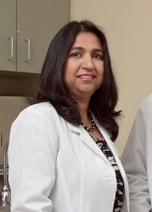 Consequently, Dr. Gulaya completed her Internal Medicine residency in 1999 at the Morehouse School of Medicine. Shortly after, Dr. Gulaya joined Cigna HealthCare of Arizona as a Staff Physician. Exposure to medical advisory boards within the Phoenix area from this position showed the need for more holistic patient care; This drove her to open her private practice in 2003, Desert Rose Medical Consultants. Since then Dr. Gulaya has been providing her patients with top notch healthcare. All while remaining an active voice for the medical community, with seats on multiple Advisory Boards and Physician Committees like; Arizona Integrated Physicians, Scan Healthcare, and Banner Healthcare. Being a strong advocate of patient-centric care allows Dr. Gulaya to provide optimal medical attention for you. 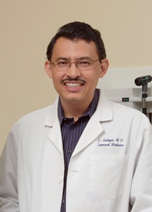 Dr. Devendra Gulaya is a Board Certified Internist with over 25 years experience in clinical medicine. He graduated from Medical School in 1984, with a degree from Maulana Azad Medical College in Delhi, India. Following his residency in Ophthalmology he was awarded the Gold Medal for Best Resident and In 1991, immigrated to the United States. Here he completed an Internal Medicine Residency in 1994 at Yale University with the affiliated Bridgeport Hospital in Bridgeport Connecticut. Graduating as the Best Internal Medicine Resident he was appointed Chief Resident with administrative and teaching responsibilities. In October 1995, he took a teaching position as Assistant Professor in the Internal Medicine program at the Morehouse School of Medicine in Atlanta. Eventually locating to Arizona he began working as a Staff Physician with Cigna Healthcare of Arizona from 1999 to 2005. In 2006 he moved into private practice at Desert Rose Medical Consultants. A special interest in Diabetes, Hypertension, lipid management and preventive care push him to provide a holistic approach to medicine with an increased emphasis on lifestyle. He also enjoys playing tennis and traveling with his family in his free time. Providing Primary Care to treat all of your needs.